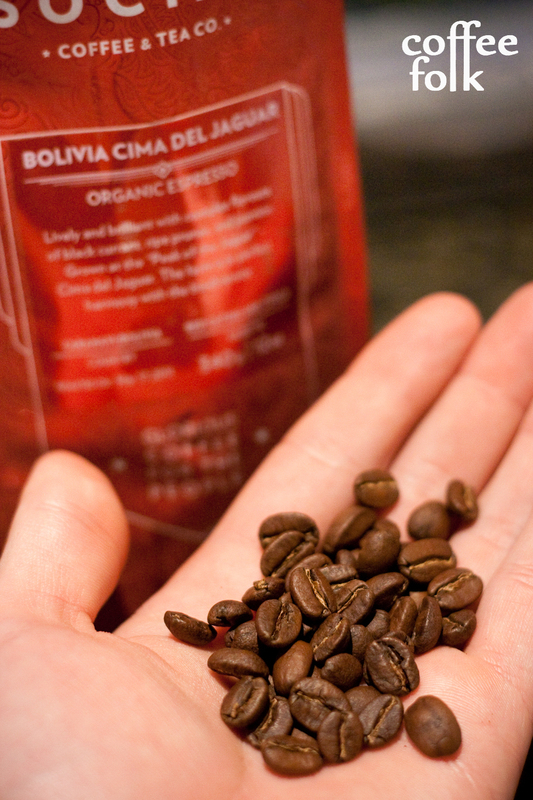 Last week I posted a preview of this coffee, explaining my emails with Steve at Social. If you have not had a chance to check that out, click here to see the preview. This is another single origin espresso, and one of the more complex ones I have tasted thus far. This had some interesting notes, including a savoury component. 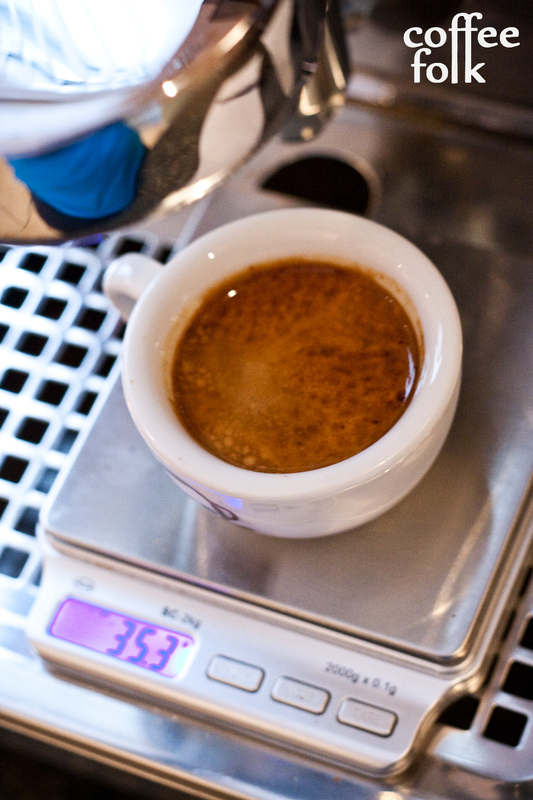 I started at the baseline with this espresso (94 degrees Celsius, 19grams) and did some guess work on the grind. I was finding the best flavours at 93 – 94 degrees Celsius. The dose seemed to work best at 19.5-20.0 grams, with a final liquid weight of ~33-35 grams and total shot length of 27-29 seconds was ideal. Keep reading for details. This was pulling an acceptable shot between 93 and 94 degrees Celsius, but the best results were at 94! @ 94 degrees Celsius: raspberry, sweetness, anise, citrus acidity, and green-tea like notes and a savoury play. Possibly even some dried fruit in the mix as well, a raisin-like thing going on. This was a pretty tasty espresso, but I was not personally digging on the savoury-like play that was on the finish. More details to follow. Pulling 19.8 grams solid to 33.5 grams liquid and adding 109grams of milk (~6oz total volume cappuccino) I found a similar flavour profile. I was personally a little disappointed to find the savoury notes and green-tea-like qualities to be a bit overpowering in milk. There was a nice sweetness there however, and easy milk-chocolate notes. The americano was a win. The extra water (5oz added by pulling a double over the top of hot water) really opened this coffee right up. Notes were: sweet, tea-like, citrus acidity, and a nice balance. This was a bunch of fun. Single origin, very complex and has some great anise notes which were tasty. This was personally not my cup of tea (pun intended) with all those tea-like notes and the savoury thing going on. If that’s your type of cup, or you really want to try something new and exciting, you may really like this. All in all, another great single origin espresso. I love Social Coffee, and I have another coffee from them I’ll soon be posting. Final score for this coffee… 89/ 100.